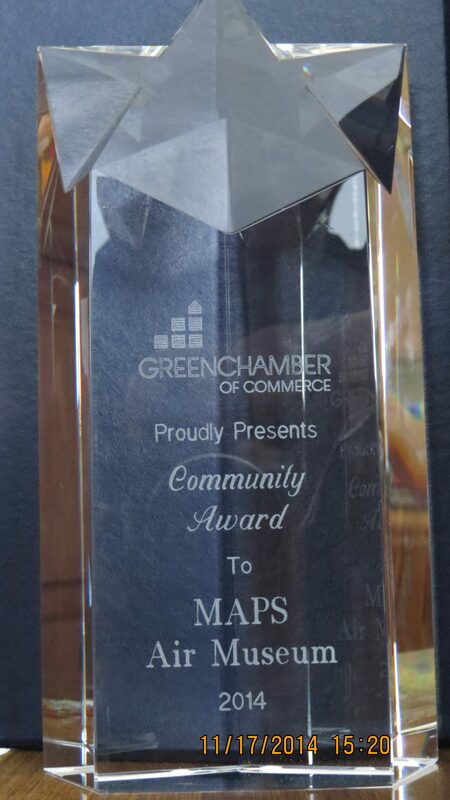 MAPS Air Museum has received the 2014 Community Award from the Green Chamber of Commerce. Green is growing and So is MAPS Air Museum. With record numbers of visitors each year, the museum not only provides a social venue for volunteer veterans but also shares the history and significant role of aviation in the development of our country. With over 43 planes to touch and feel as former military personnel tell their stories, MAPS is one of Green’s greatest destinations.